Help a child who needs it most. 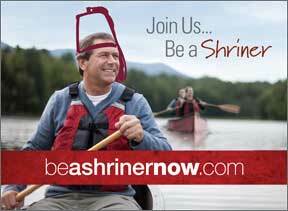 Nominate a child for the Shriners in Your Community Fund today! Do you know a child who has outgrown their wheelchair, or who needs a new prosthetic or possibly leg braces? If so, we may be able to help. At the Shriners Hospital, we often treat broken limbs, straighten curved spines, and improve the lives of many children with severe burns, a club foot or a cleft palate. But hospitals have limits to how much they can do for a child and at times, special medical equipment is required to make the child’s quality of life even better – equipment that the Shriners can help provide. Our “Shriners in Your Community” Fund provides eligible children in British Columbia and Yukon with much-needed and medically necessary equipment to improve their quality of life. Serve the children of BC & Yukon, by growing the Shrine Fraternity and providing innovative paediatric specialty care, world-class research and outstanding medical education through the Philanthropy, Shriners Hospitals for Children.